Republic day Speech In English Students loves to give a speech on different occasions like Republic Day Speech In English For Teachers, Independence Day Speech etc. Some students and teachers they give a speech in Hindi or English. Some people give English. Here is the collection of Republic day Speech In English. If you are searching Republic day Speech In English it's a nice place for you. We have a collection of Republic Day Speeches. Read The article and share this because Sharing is Caring. Good morning to the Excellencies, respected Principal sir, sir, madam, my seniors, and my dear colleagues. My name is…… I study in class….. I would like to speak on this great annual occasion of Indian Republic Day. First of all, I would like to say a big thank to my class teacher for giving me such a great opportunity to the speech here on the Republic day of India. My dear friends, we have gathered here to celebrate this special occasion of our nation. We celebrate republic day on 26 January annually to commemorate the day when the Indian constitution came into force and India was declared as republic country. I am very proud to be the citizen of India. At this day, we unfurl the National Flag of India and sing the National Anthem to show our heartily respect for our republic country. It is celebrated all over the country at schools, colleges, universities, educational institutions, banks, and many more places. It was 26 January 1950 when Indian National Constitution came into force. The period from 1947 to 1950 was the transition period and King George VI became the head of state whereas Lord Mountbatten and C. Rajagopalachari became the Governors-General of India. The Government of India Act (1935) was replaced as the governing document of India after the enforcement of the Indian Constitution in 1950 on 26 January. The Constitution of India was adopted on 26th of November in 1949 by the by Indian Constituent Assembly however implemented later in 1950 with a democratic government system declaring the country as the independent republic. 26 January was specially selected because on the same day in 1930 Indian National Congress had declared Indian Independence means Purna Swaraj. Rajendra Prasad became the first President of Republic India in 1950 after the adoption of Constitution. A grand parade by the Indian army (from all three services) is organized in the national capital (New Delhi) as well as state capitals of the country. The parade of the national capital starts from the Raisina Hill (near to the Rashtrapati Bhavan, the residential place of Indian President) and ends to the past India Gate along with the Rajpath. Together with the Indian army, states of the country also take part in the parade (decked with finery and official decorations) to show their culture and tradition. On this day, our country follows the tradition of “Atithi Devo Bhava” by inviting a chief guest (PM, President or King from another country) on 26 January. President of India, who is the Commander in Chief of the Indian army, takes the salute by the Indian Armed Forces. The Prime Minister of India gives a floral tribute to the sacrificed Indian soldiers at the Amar Javan Jyoti, India Gate. The celebration of republic day continues by 29th of January which ends after the beating retreat ceremony. On this day, every Indian shows his/her respect and Pride to the National Constitution. Greetings to all of you on the eve of our 70th Republic Day. This is a day for all of us to celebrate and honor our nation and our sovereignty. This is a day to remember with gratitude the enormous efforts and sacrifices of millions of freedom fighters whose blood and sweat gave us Independence and created our Republic. Above all, this is a day to cherish our republican values. A Republic is its people. Citizens do not just makeup and preserve a Republic; they are its ultimate stakeholders and in fact pillars. Each one of us is a pillar - the soldier who defends our Republic; the farmer who feeds our Republic; the forces that keep our Republic safe; the mother who nurtures our Republic; the doctor who heals our Republic; the nurse who tends to our Republic; the sanitation worker who makes our Republic cleaner and hygienic; the teacher who educates our Republic; the scientist who innovates for our Republic; the missile technologist who puts our Republic on a new trajectory; the wise tribal who conserves the ecology of our Republic; the engineer who re-imagines our Republic; the construction worker who builds our Republic; senior citizens who can look back with pride at how far they have brought our Republic; the youth in whom lie the energy, hopes and future of our Republic; and our dear children, who dream for our Republic. 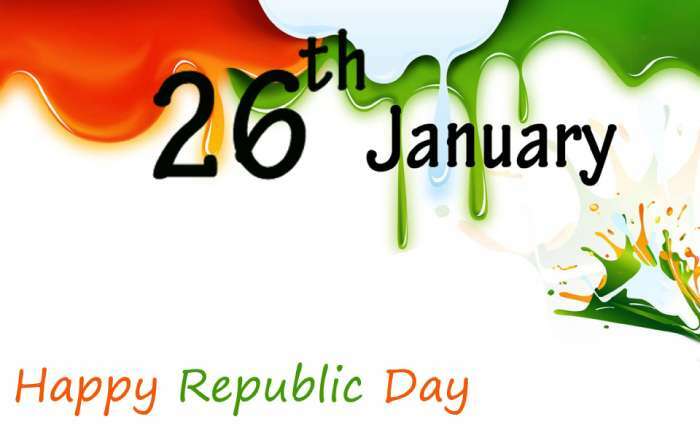 India became a Republic on January 26, 1950. This was the second major milestone in our nation-building process. Independence had come a little over two years earlier. But it was with the framing and adoption of the Constitution - and the birth of the Republic of India - that we truly achieved the ethic of equality among all citizens, irrespective of religion, region or community. This ethic of equality complemented the liberty that had come at Independence. And a third principle also defined both the cooperative efforts at creating our Republic as well as the India that we wished to be. This was the principle of fraternity. Good morning to the respected Principal sir, sir, madam, my seniors, and my dear friends. 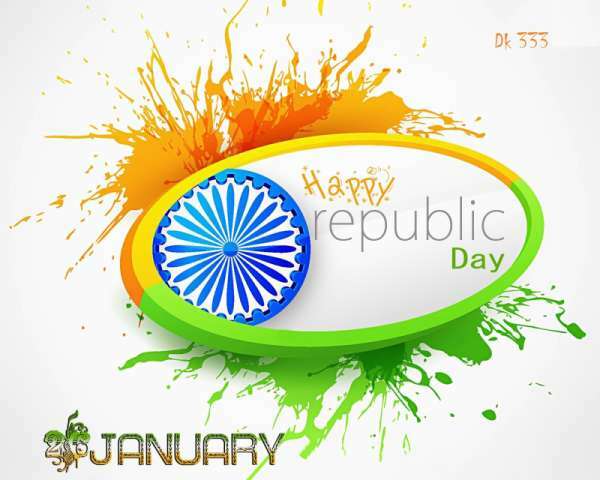 My name is… I study in class… I would like to speak in front of you on this Republic Day. I am very grateful to my class teacher for giving me such a great opportunity to recite a speech on republic day of India. 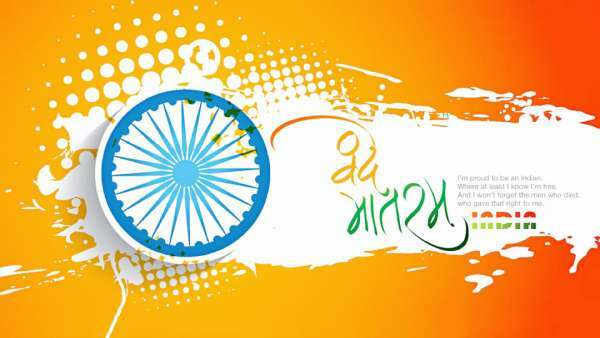 My dear friends, we celebrate this national event every year to remember and pay respect to the Indian constitution. It is celebrated in all the schools and colleges by the students and teachers however also celebrated at government offices and other institutions of the states all over the country. The main celebration takes place in the national capital, New Delhi, at Rajpath, Indian Gate before to the President of India and chief guest from another country. A grand ceremonial parade is organized at the Rajpath in order to perform a tribute to India. At this day, the Constitution of India came into force in 1950 however, was adopted on 26 November 1949 by the Constituent Assembly. On 26 January, India was declared Purna Swaraj by the Indian National Congress in 1930 that’s why 26 January was chosen to bring the Indian Constitution into force. After its enforcement, the Union of India officially became contemporary Republic of India which had replaced the Government of India Act 1935 to a fundamental governing document. Our country was declared a sovereign, secular, socialist, and democratic republic by the Constitution. Our constitution assures the citizens of India about justice, liberty, and equality among them. On 26th January, India celebrates the republic day every year. This year we have to celebrate the 70th republic day. 26th January is so much grateful for us. As we all know on 15th August 1947, India became Independent still at that time we were not capable enough to run the whole nation, so a constituent gathering was formed, which included Dr. Babasaheb Ambedkar. It was on January 26th, 1950 that the constitution of India came into force and India became an actual ruler, Democratic, and republic country. So this day we have to celebrate the Republic Day of India. I wish to my all respected teacher, principal, chief guest, and friends Happy 70th Republic Day.